“I am the living bread which came down from heaven; if anyone eats of this bread, he will live forever; and the bread which I shall give for the life of the world is my flesh… So Jesus said to them, ‘Truly, truly, I say to you, unless you eat the flesh of the Son of Man and drink His blood, you have no life in you; he who eats my flesh and drinks my blood has eternal life, and I will raise him up on the last day. For my flesh is food indeed, and my blood is drink indeed. 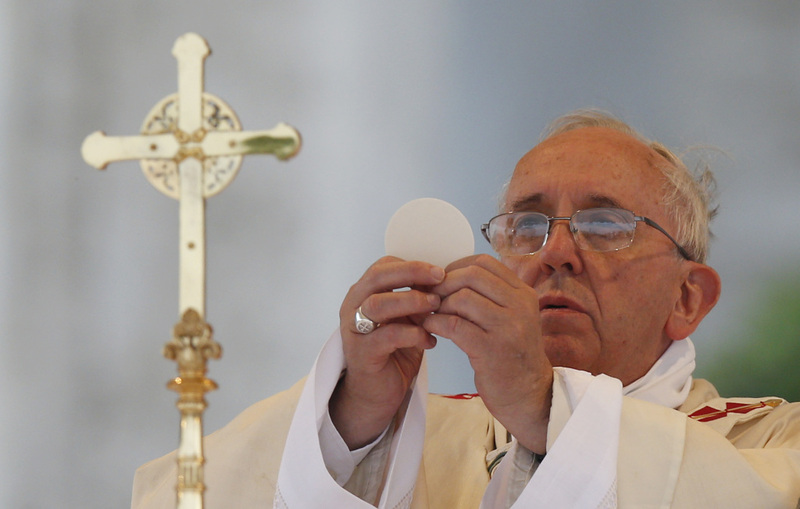 He who eats my flesh and drinks my blood, abides in me and I in him'” (John 6:51, 53-55). Through formation classes, children in second grade or higher prepare for the celebration of First Eucharist.